Cocaine Addiction is the result of continued Cocaine use, resulting in dependency on the drug and its euphoric feeling. Cocaine is a highly addictive stimulant drug that gives a euphoric feeling. Cocaine is made from the leaves of the coca plant native to South America, however it is grown all over the world. Health care providers may have used it for valid medical purposes, such as local anesthesia for some surgeries, however today, cocaine is an illegal drug. As a street drug, cocaine looks like a fine, white, crystal powder. Street dealers often mix it with things like cornstarch, talcum powder, or flour to increase profits. They may also mix it with other drugs such as the stimulant amphetamine and more deadly, Fentanyl – Causing recent epidemic overdoses. How Do Most People Use Cocaine? People snort cocaine powder through the nose, or they rub it into their gums. Others dissolve the powder in water and inject it into the bloodstream. Some people inject a combination of Heroin and Cocaine, called a Speedball. How Does Cocaine Affect the Brain, Causing Addiction? Cocaine Addiction is Often Caused by The Euphoric feeling one gets while using it in many forms. Cocaine increases levels of the natural chemical messenger dopamine in brain circuits controlling pleasure and movement. Some people find that cocaine helps them perform simple physical and mental tasks more quickly, although others experience the opposite effect. Large amounts of cocaine can lead to bizarre, unpredictable, and violent behavior. How Long Does The Affect of Cocaine Last? Cocaine’s effects appear almost immediately and disappear within a few minutes to an hour. How long the effects last and how intense they are depend on the method of use. Injecting or smoking cocaine produces a quicker and stronger but shorter-lasting high than snorting. The high from snorting cocaine may last 15 to 30 minutes. The high from smoking may last 5 to 10 minutes. What are the other health effects of cocaine use? needle injection: higher risk for contracting HIV, hepatitis C, and other bloodborne diseases. However, even people involved with non-needle cocaine use place themselves at a risk for HIV because cocaine impairs judgment, which can lead to risky sexual behavior with infected partners. Other long-term effects of cocaine use include being malnourished, because cocaine decreases appetite, and movement disorders, including Parkinson’s disease, which may occur after many years of use. In addition, people report irritability and restlessness resulting from cocaine binges, and some also experience severe paranoia, in which they lose touch with reality and have auditory hallucinations—hearing noises that aren’t real. Studies have shown that cocaine use speeds up HIV infection. According to research, cocaine impairs immune cell function and promotes reproduction of the HIV virus. Research also suggests that people who are infected with HIV and use cocaine and are infected with HIV may be at also increased their risk for co-infection with contracting hepatitis C, a virus that affects the liver, even if they do not inject drugs. Yes, a person can overdose on cocaine. An overdose occurs when the person uses too much of a drug and has a toxic reaction that results in serious, harmful symptoms or death. An overdose can be intentional or unintentional. Death from overdose can occur on the first use of cocaine or unexpectedly thereafter. Many people who use cocaine also drink alcohol at the same time, which is particularly risky and can lead to overdose. Others mix cocaine with heroin, another dangerous—and deadly—combination. Some of the most frequent and severe health consequences leading to overdose involve the heart and blood vessels, including irregular heart rhythm and heart attacks, and the nerves, including seizures and strokes. How can a cocaine overdose be treated? 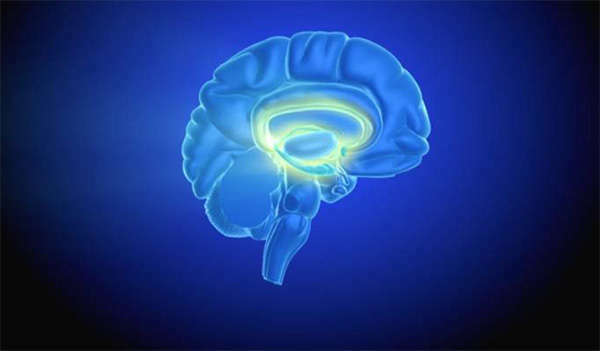 As with other drugs, repeated use of cocaine can cause long-term changes in the brain’s reward circuit and other brain systems, which may lead to addiction. The reward circuit eventually adapts to the excess dopamine brought on by the drug. As a result, people take stronger and more frequent doses to achieve the same high and feel relief from initial withdrawal. How can people get treatment for cocaine addiction? Street dealers often mix it with things like cornstarch, talcum powder, or flour to increase profits. They may also mix it with other drugs such as the stimulant amphetamine. People snort cocaine powder through the nose, or rub it into their gums. Others dissolve it in water and inject it or inject a combination of cocaine and heroin, called a Speedball. Another popular method of use is to smoke Crack cocaine. Cocaine increases levels of the natural chemical messenger dopamine in brain circuits controlling pleasure and movement. This flood of dopamine ultimately disrupts normal brain communication and causes cocaine’s high. A person can overdose on cocaine, which can lead to death. Behavioral therapy may be used to treat cocaine addiction. While no government-approved medicines are currently available to treat cocaine addiction, researchers are testing some treatments. If You or a Loved One Have an Cocaine Addiction, Get Help Today! It is imperative if you or a loved one is suffering from drug or alcohol addiction along with depression or another mental disorder (Dual Diagnosis), please get help. Coast to Coast Recovery Centers provide you with the best Cocaine Addiction Treatment Centers in the United States. There are a variety of treatment options available. Get Insurance Verification to determine if your insurance provider covers cocaine abuse or addiction rehab. At Coast to Coast Recovery, you can find a range of addiction treatment services from holistic healing and complementary therapies to 12-step programs and Christian-based teaching. Let us help you end a life of addiction and start your journey to lasting sobriety. To learn more, call (800) 210-8229.